**MULTIPLE OFFER SITUATION. SELLER HAS REQUESTED HIGHEST AND BEST BY 5 PM TUESDAY, FEBRUARY 12TH** Located in the beautiful Stonebriar community, this 4 bed/2 bath is great for your next home! Enjoy a cup of coffee on your lanai as you take in your gorgeous water view in the backyard. French doors at the front of the house lead to an additional room for you to use as a bedroom, office, or even a home gym! The kitchen opens up to two different living room areas which are perfect for entertaining family and friends. Tile and laminate flooring is featured throughout the home for easy upkeep. You'll also love the natural light pouring in from the windows that brightens nearly every room in the house! 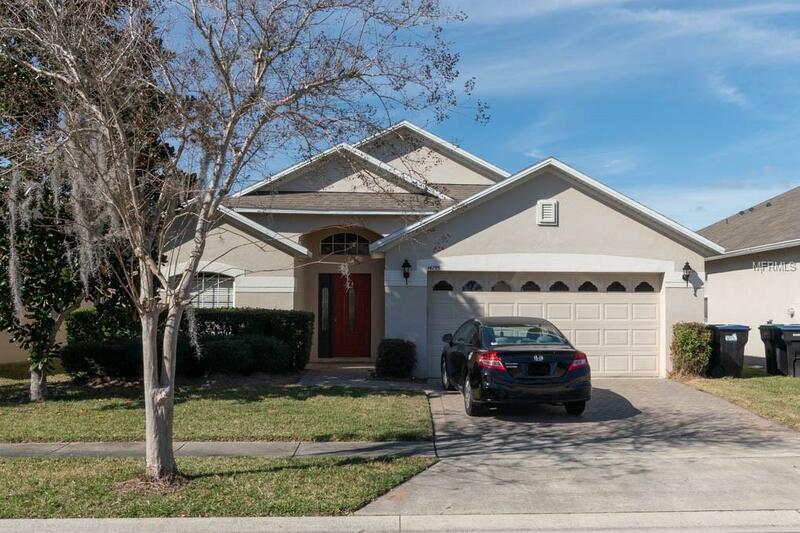 This home is located just 10 minutes from UCF and Waterford Lakes Town Center, which offers a wide range of dining and shopping options, as well as a movie theater. You are also just a few minutes from 408 and Colonial Drive for easy commuting around town. With this home's fantastic location, it won't be on the market for long! Schedule a showing today!